In times of critical injury, immediate access to essential first aid material is crucial for saving lives. The Emergency Trauma Backpack is a no-fuss container that equips you with everything you need to administer medical attention in times of crisis. Acting fast during a major incident is important, and it is good to own a piece of kit that works well during times of urgency. 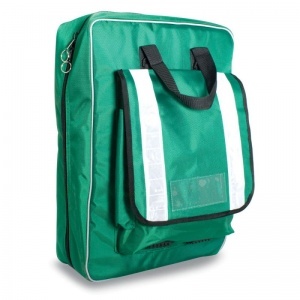 The Trauma Backpack provides immediate, fumble-free access and identification of the correct products required, which is vital in the event of an emergency. This bag is designed to offer all the versatility of a rucksack, providing capacious storage for maximum organisation. 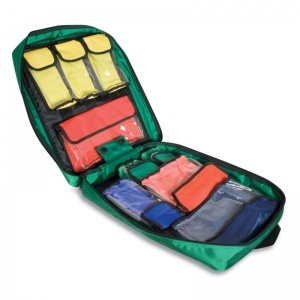 It benefits from having rapid access features including zipped pouches, which are cleverly colour-coded to assist quick decision-making under pressure. 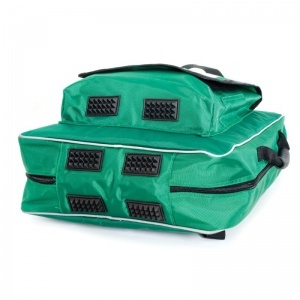 The Emergency Trauma bag can be worn as rucksack, fitted with comfortable to wear twin backpack shoulder straps, but also provides convenient carry handles to enable you to grab it and go. 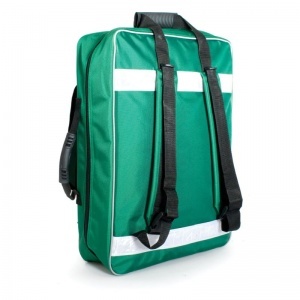 The reflective straps placed around the bag make it easily recognisable by others in the dark or by the roadside. Please be aware that the Emergency Trauma Backpack is supplied empty and first aid materials must be purchased separately. The Emergency Trauma Backpack is usually dispatched via First Class Royal Mail and delivery should be within 1 to 3 working days.